I enjoyed a stimulating day at the Green Lab in Bristol as part of the Litfest. The Silverwood table was loaded with books and it was fun to meet more fellow authors and chat to Helen Hart and the rest of the publishing team during the day and over delicious pizza at the Stable. The venue wasn’t ideal (noisy) but the interesting speakers on various aspects of writing and publishing made up for that. Pleased with a new review on Goodreads which says the blurb doesn’t do justice to ‘A Place of Safety‘. Great compliment and also interesting warning about blurbs. It’s so hard to pick the right words to put on the back of a book that will grab attention, convey the themes and not give too much away. Timely too, as I’m in the process of writing the blurb for the next book! I had an inspiring time at the Penzance Litfest – first on a panel with SilverWood Books chaired by Director, Helen Hart as part of the ‘Independent Publishing’ day. It was a pleasure to meet fellow indie authors, Wendy Percival, Stephen Oram and Lucienne Boyce. We had a lively audience of 30 or 40 who were full of interesting questions – I learned a lot! The ‘Inspired by Cornwall’ panel chaired by Des Hannigan was another lively event exploring how Cornwall had influenced the panel’s writing – both process and content. I attended the South Hams Writers’ dinner at Hazelwood House on 16th July. There were 5 categories of competition – short story, novel, poetry, non-fiction and playscript or monologue, not to mention an excellent dinner! The Penzance Litfest 8th-11th July. 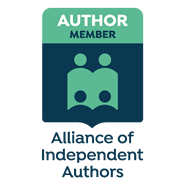 I am very pleased to be on two panels – one with SilverWood Books of indie (independent) authors which is on Thursday 9th July and on the 10th July, another panel consisting of authors inspired by Cornwall. 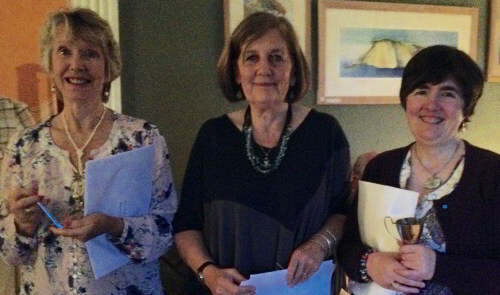 I’m also one of the judges for South Hams Writers’ annual novel competition. If you would like to join this friendly South Devon group then please contact the Kingsbridge Information Centre. My second novel ‘A Place of Safety’, which is set on Dartmoor, is now available! Published by SilverWood Books of Bristol, it is available from them, and can be ordered from bookshops or from Amazon. It is out as a paperback and as an ebook in various formats. I was delighted to speak at Ways with Words last July and to have such a receptive audience. I was part of a day with the theme ‘The Creative Process’, and talked about what triggered the writing of ‘The Hatmaker’s Secret’ and of the next novel, amongst other things. ‘The Hatmaker’s Secret’ is doing well, and is available as a Kindle download and as a paperback from Amazon, and from Dartmouth Community Bookshop. I’m thrilled that it’s been well-reviewed and I keep meeting people who have enjoyed reading it, so click here to find out more. Meanwhile the third novel is taking shape and I’m enjoying my beautiful view and the luxury of having time and a place for writing.